Donald Takayama "2013 Surf Pioneer"
Donald Takayama could be considered the first-ever professional surfer. In 1957, at the young age of 12, the Waikiki native moved to California to work under the legendary Dale Velzy, getting paid $5 and a logoed T-shirt to simply shape and surf. And even though he’s highly regarded for his technique in his shaping room, he held his own in the competitive realm as well. Takayama was two-time runner up to Corky Carroll in the US Championships and finished top five in the USSF season-end ratings for much of the latter 1960s. In the Masters division, he swooped US Champs titles from ’71-’73 before returning his focus to surfboard design. PHOTO: Hanging five in Hermosa Beach, CA 1966. Photo courtesy of Steve Wilkings. His highly influential boardbuilding career hit a fork in the road early on, when the Velzy-Jacob’s label split and Takayama went with Jacobs to Hermosa Beach. There, he crafted boards for some of the era’s hottest riders including Mickey Dora. At Jacobs, his Donald Takayama Model became one of the “most functional and aesthetically appealing boards ever made” according to Longboard magazine. His career furthered with stints at Bing Surfboards as well as Weber Surfboards, where he helped Harold Iggy design the Weber Performer. 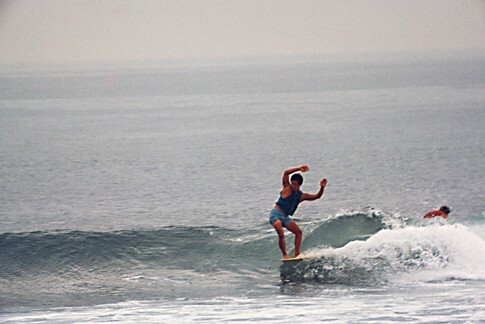 Takayama was one of the few shapers to make the transition to shorter shapes of the late ‘60s. And in the late ‘70s, he founded Hawaiian Pro Designs. It was there that Takayama built the quiver of pro surfer Joey Buran before eventually returning (along with longboarding’s popularity) to the noseriders of the ‘80s. More recently, Takayama worked closely with two-time ASP Longboard World Champion Joel Tudor. Takayama passed away in 2012 due to complications during heart surgery. PHOTO: Donald, Ala Moana, November 26, 1961. 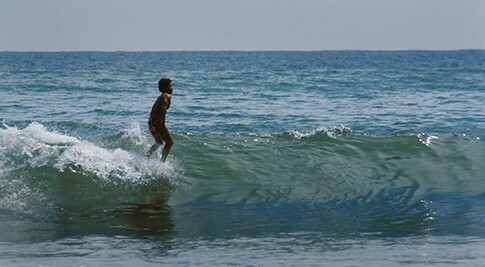 Photo courtesy of LeRoy Grannis. IMAGE: Shapes and Designs by Donald Takayama logo design. PHOTO : Shaping room Jacob's Surfboards 1967. Photo courtesy of Steve Wilkings. PHOTO: Donald with Bettina Brenna, outtake from December 1965 International Surfing "Winter Fashions in Focus" article; Hermosa Pier, October 3, 1965. 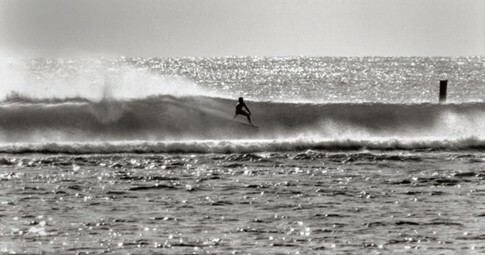 Photo courtesy of LeRoy Grannis. 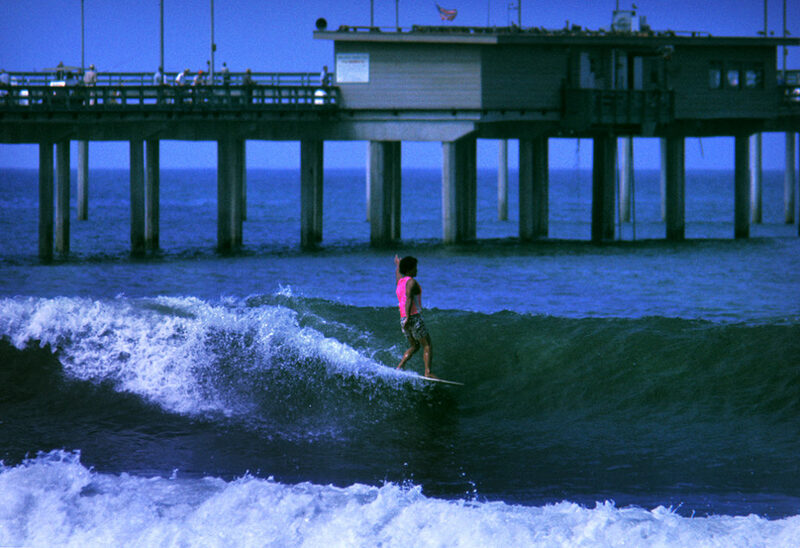 PHOTO: Hanging five at Malibu contest, 1967. Photo courtesy of Steve Wilkings. PHOTO: August 1966, Inner Stacks, Baja California, Mexico. Inner Stacks was a surf spot in front of the fish cannery north of Ensenada and south of San Miguel. It is called Inner Stacks because it is inside the break water and the fish cannery has smoke stacks. There was an Outer Stacks. The break water has since been extended. Photo courtesy of Leo Hetzel. PHOTO: 1966 September World Surf Contest at Pacific Beach, San Diego. Donald Takayma, Hawaii. The winner was Nat Young, Australia, 2nd was Jock Sutherland, Hawaii, 3rd Corky Carroll, California, and 4th was Steve Bigler, California. Photo courtesy of Leo Hetzel.